This is a delicious variation to my Bloody Mary Salad. The flavours lend themselves so beautifully to seafood! 1 red, yellow or green capsicum (bell pepper), finely diced - or use a mix of all three! OPTIONAL: 1 teaspoon to 1 tablespoon of white horseradish, to taste OR a few slices of pickled jalapeno. Place all ingredients in a high speed blender like a Vitamix, and blend until smooth. Taste the dressing and adjust the seasonings to your taste. Place in individual bowls or glasses. 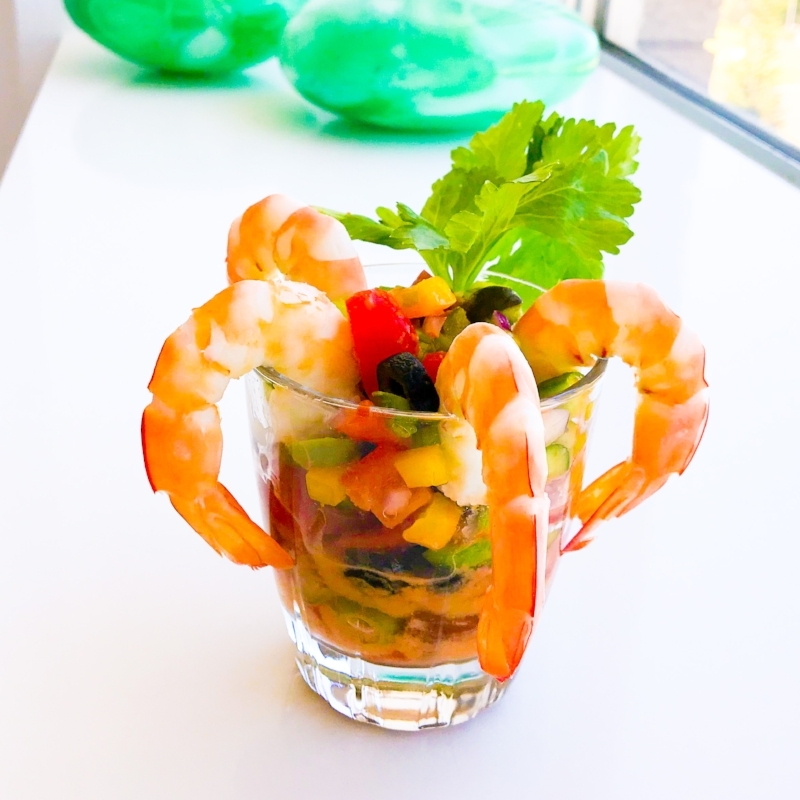 Arrange prawns decoratively around bowl or glass.